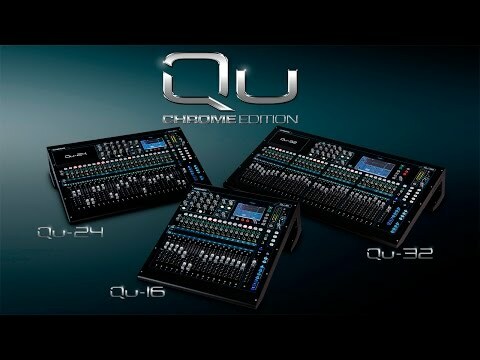 Now in a feature-packed new Chrome Edition, Qu-24 reshapes digital mixing, combining innovative design and exceptional functionality to create a superb professional mixing experience. Bristling with all the features you’d expect from a top of the range digital console and incorporating technologies pioneered on the GLD and iLive digital mixing systems, Qu-24 has the power and pedigree to deliver class-leading audio performance. Qu-24 features twenty-four AnalogiQTM digitally controlled preamps with advanced zero-crossing detection and a padless 1dB-step gain stage, which have been closely allied to the DSP for optimal gain accuracy and audio transparency. The analogue signal is captured by high-class, low latency 24bit analogue to digital converters, and are matched to 24bit digital to analogue converters to deliver the required high quality output. The AnalogiQTM preamp design has been refined to offer superb transparency, minimal distortion and an ultra-low noise floor, with a warm, musical sound that is missing from some digital consoles. Having massive processing power and advanced functionality counts for nothing if you can’t access the controls you need in a heartbeat. The 800×480, True Colour Touchscreen and its dedicated rotary encoder form the heart of Qu-24’s interface, providing super-fast access to all settings and parameters. Dedicated keys and screen tabs quickly guide you to meter and RTA views, FX racks, channel processing, USB audio control, scenes, setup menus and much more. Complementing the touchscreen is the SuperStrip – a set of single function physical controls for instant access to gain, HPF, 4 band PEQ, gate, compressor, GEQ and pan. 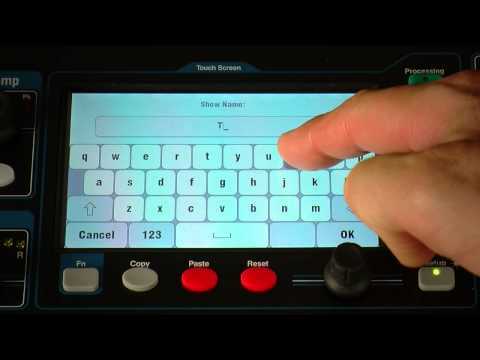 The screen overview also follows the control being turned. Qu-24 has a fader per mono input channel and fewer fader layers for simpler, quicker workflow. 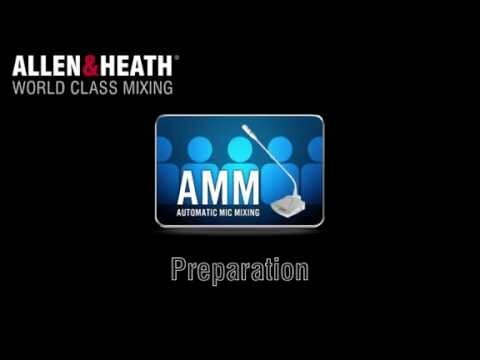 Some digital mixers don’t offer a fader per physical input, meaning you have to access an additional fader layer to control these channels. This can be confusing and time consuming. Because every mic input is presented on its own fader for fast, easy control, this makes Qu-24 the perfect mixer for first-time converts from analogue to digital and those not comfortable working with several layers of faders. True digital mixing is about being able to save and recall Scenes (snapshots) at the press of a button. Qu can store up to 100 full Scenes for recall and Channels or Mixes can be made Safe from being overwritten. 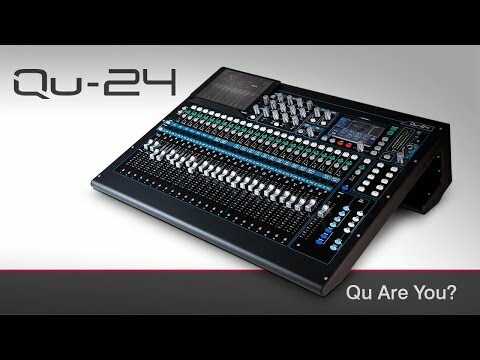 Qu-24 features 25 motorized ALPS faders, 24 allow instant access to all input channels and masters over 2 layers, and a dedicated master fader dynamically follows the Mix selection. A third User-defined Custom layer is available for ad-hoc strip layout, where any combination of Inputs, FX Sends, FX Returns, DCA’s and Mix masters can be assigned. 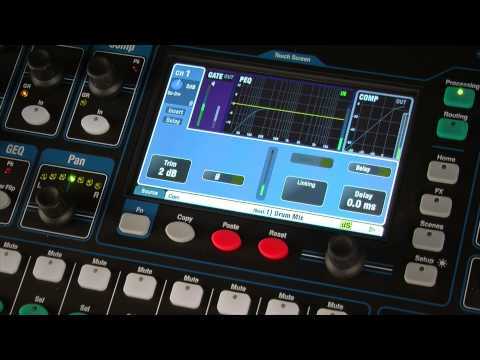 Qu-24’s dynamics and FX algorithms are derived from those used in Allen & Heath’s pro touring consoles. Some of the world’s most respected audio engineers have chosen to use RackFX on tour in preference to top-end plug-ins and external FX units. Qu-24 boasts 4 stereo RackFX engines, featuring lovingly crafted emulations of legendary classic reverbs, gated reverbs, delays, modulators, flangers and more. FX are returned to the mix on dedicated return channels, so you’re not tying up your mono and stereo input channels. Each Stereo FX Return has a dedicated 4 band PEQ. Qu-24 provides 2 stereo Groups which can be used as subgroups to the main LR mix for group level and processing, for example to buss-compress an entire drum kit, or to tame multiple lavalier mics with a single graphic EQ. 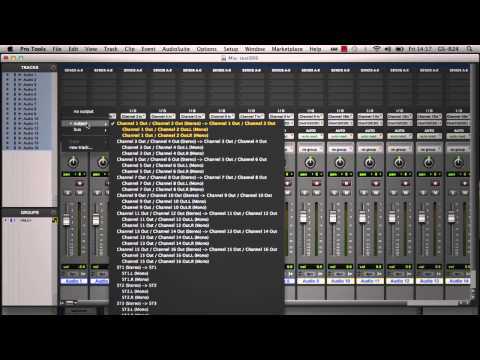 Groups can also be switched to Mix mode to provide additional outputs for monitor mixes. Qu-24 adds 2 further stereo Matrix outputs equipped with full processing to the console’s extensive I/O. A Matrix is a ‘mixer within a mixer’, fed from any combination of Group 1-4, Mix 1-10, and main LR. 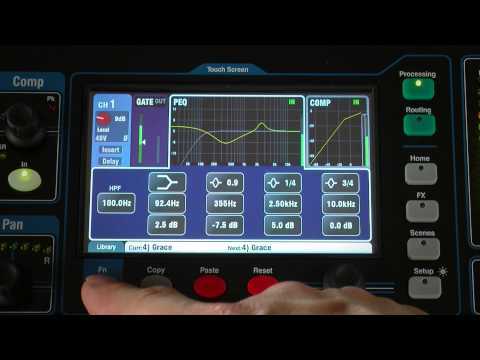 It can be used to provide a broadcast feed, a recording mix, or duplicate the main outputs for delay stacks, fill or zone speakers where independent GEQ and delay is applied. Qu-24 has an integrated multitrack USB recorder, providing 18 channels of 48kHz, 24bit recording and playback straight to / from your USB key or hard drive. Capturing multitrack recordings of your shows has never been so easy. A selectable stereo pair can be recorded alongside the 16 Mono channels, and multitrack audio can be played back to the 16 Mono inputs plus ST1. On top of this, Qu-Drive also provides stereo recording patchable from any pair of Mix outputs, the Main LR (pre, post, or summed to mono) or even the PAFL bus, with 2- track stereo playback to ST3. 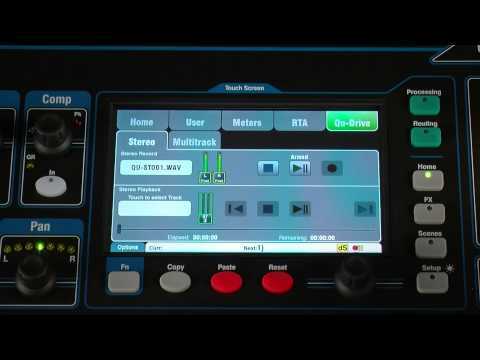 Qu-24’s built-in audio interface streams up to 32 selectable tracks to your Mac or PC and returns from the computer can be easily assigned to the Input channels. 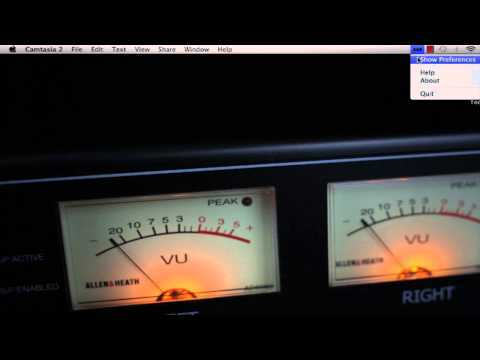 The interface is class-compliant on Mac OS X making it truly plug ‘n play and will be recognized straight away by any DAW supporting Core Audio, including Logic, Cubase, Reaper, and Pro Tools. An ASIOTM and WDM compatible driver is available for Windows computers. 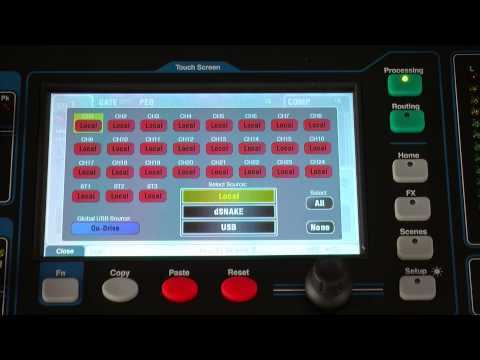 Standard MIDI control is tunnelled over the USB connection so you can map the faders to the tracks of your favourite DAW. A DAW Control driver is available for easy setup and emulation of HUI or Mackie Control protocols on Mac OS X and Windows systems. Add the fully-featured Qu-Pad app for iPad to your Qu-24 and you’re free to EQ and mix monitors on stage, roam around the venue whilst adjusting the PA, and mix the show from the heart of the audience. 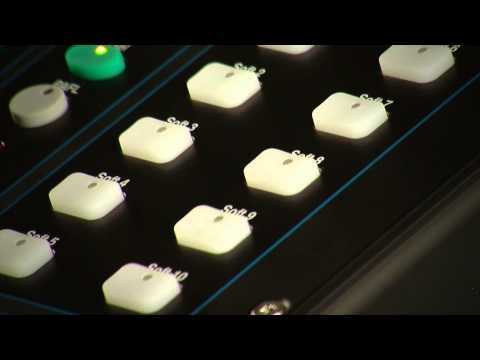 Qu-Pad connects to the mixer over Wi-Fi and gives instant access to all live mixing parameters and settings. More info. Qu-24 is a self-contained mixer, so if you’ve already got the analogue cables you’re good to go. 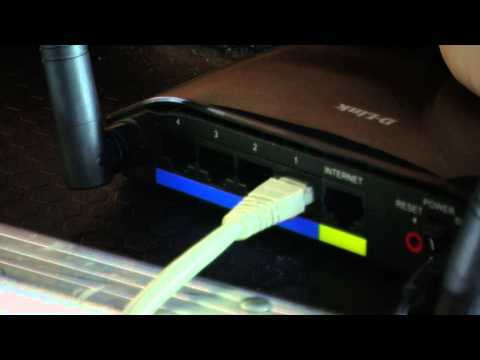 If you’re thinking of trading in the copper multicore for a Cat5 digital snake, Qu-24’s built-in dSNAKE port has you future-proofed, allowing connection to a remote AB168, AR2412 or AR84 Stagebox. dSNAKE is our proprietary networking solution, boasting a transport latency of only 105us over cable runs of up to 120m / 390’. So if you’re mixing FoH you can place your I/O on the stage and run a single Cat5 cable back to the Qu-24 in the mix position. 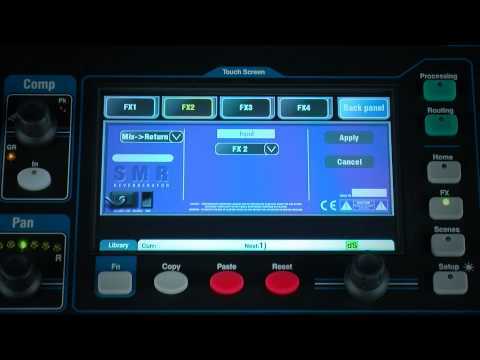 Qu-24 is fully compatible with our ME Personal Mixing System. Any number of ME-1 personal mixers can be chained from the dSNAKETM port (or from an AR2412 Stagebox if you’ve got one connected to the dSNAKETM port). Each performer can be given tailored control over their own mix, leaving the engineer free to focus on the audience experience. Qu-24 is equipped with 5 cores of high efficiency ARM core processing, with dedicated ARM cores running the touchscreen display and surface, USB streaming, Qu-Drive multi-channel USB recording / playback, Ethernet and fader automation. Between them the ARM cores provide state-of-the-art processing, working in parallel to deliver extensive control, instant-on operation, and lightning-fast response. The mixer’s DSP farm exploits next generation dual core DSPs. The Qu DSP architecture employs varied bit depths, tailored to specific algorithms, with 48 bits on critical EQ functions and a 56 bit accumulator on the mix bus where it really counts, allowing every nuance of the audio to be captured in the final mix. AH9981 – 50m drum of EtherFlex Cat5 with locking Neutrik EtherCon connectors. AP9458 – Dust cover for Qu-24.